Do you love history, art, or architecture? Do you enjoy engaging with students and diverse audiences? The Visitors Services program at the Utah State Capitol is seeking volunteers to lead guided tours of the Capitol on weekdays. Volunteer docents—or tour guides—enhance the experience of Capitol visitors by interpreting Utah’s unique history and culture while highlighting the Capitol’s architecture, artworks, and government function. 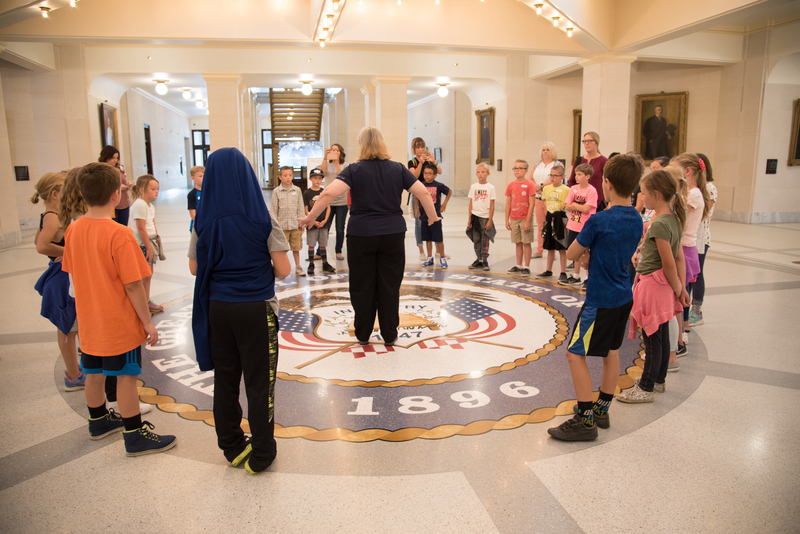 In addition to providing an indispensable service to tens of thousands of Utah students, visiting tourists, and political dignitaries, docents gain the opportunity to engage with tourists from across the U.S. and around the globe. Docents develop a special connection with the Capitol community and attend educational workshops and volunteer socials. To find out more about volunteering at the Capitol, please call Baylee at 801-538-1800 or send an e-mail to capitoltours@utah.gov. Comfortable working with school children and audiences of varying ages, physical and mental abilities, ethnicities, etc.